'Toolroom Mexico' complements what is set to be a series of gigs with label newcomers, Thee Cool Cats, stepping up to mix the compilation. The compilation features 30 full-length tracks from what will possibly be some of the hottest DJs and producers of 2015, including Dusky, Patrick Topping, Catz N Dogz, Todd Terry, Doorly, Weiss, Friend Within, Bontan, Green Velvet, Tough Love, Vanilla Ace, Rene Amesz and many more. It also features two brand new exclusives from Thee Cool Cats and Altus Project & Dantiez Saunderson. 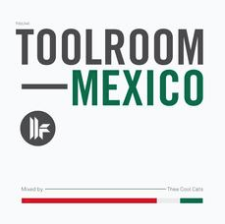 With a collection of hard-hitting tracks and a full-length DJ mix showcasing Thee Cool Cats' mixing style, 'Toolroom Mexico' should certainly do well for the UK-based label.